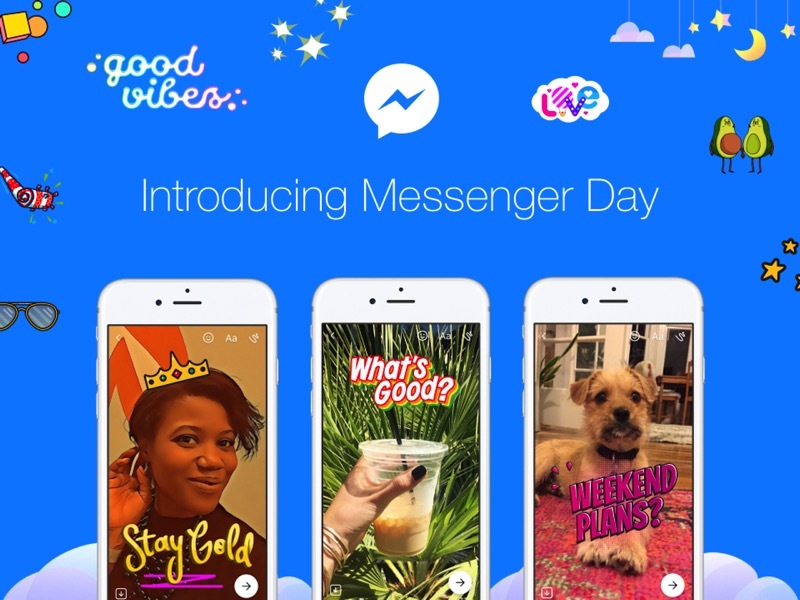 Facebook has is rolling out Messenger Day today globally, which is their take on Snapchat Stories. The new feature lets users make public or private pictures or videos to share, which disappear in 24 hours. According to Facebook’s VP of messaging David Marcus, in an interview with TechCrunch, the new feature will “probably” include ads between posts, to start making money for Messenger for the first time. When users share to their My Day, those viewing can respond privately, while also an ‘Active Now’ green dot also shows when friends are online, and available for chat. What makes Day unique, according to Facebook, is their searchable, categorized filters, which aim to make it easier to get friends to hang out in real life. Custom pre-made filters such as “Movie night?”, “Let’s grab drinks”, or “Let’s go for a run” are available, but also an option is there to turn any text into a filter too. Facebook now has added these Snapchat-likes features with Instagram Stories, a recent update to WhatsApp, and now Messenger Day. Time will tell who will win the disappearing messaging wars, but for now Snapchat is the one to beat. The update to Messenger for iOS to include this update for Day is rolling out in the App Store, so keep an eye out for it.